"Burning street" in the Savičius Str. There are ever more calls to hear that traffic should be limited in the capital's old town. 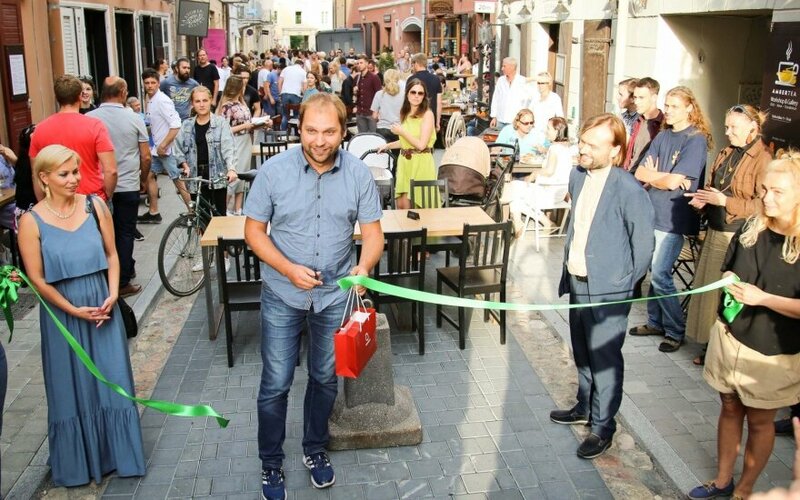 It would appear these plans are gradually becoming a reality – this Friday was the first when cars were not allowed to pass through Savičius Street, which can be found at the heart of Vilnius. The street featured the event "Burning Street – celebrating the freedom of Savičius st.!" The Vilnius Old Town street appeared to be packed during the event, the bars working there even placed tables on the roadway itself. Nonetheless it would appear that some drivers did not immediately notice this. Right after 19:00, when the street was closed for the first time, cars attempted to get past the people, however they soon had to turn around because passage was blocked physically. The five bars and restaurants on the street offered exclusive menus designed for the evening. A small burger was available for 4.5 euro, small portion of snails for 5 and a large one for 9 euro. Half a litre of beer at the restaurants there cost around 3 euro. 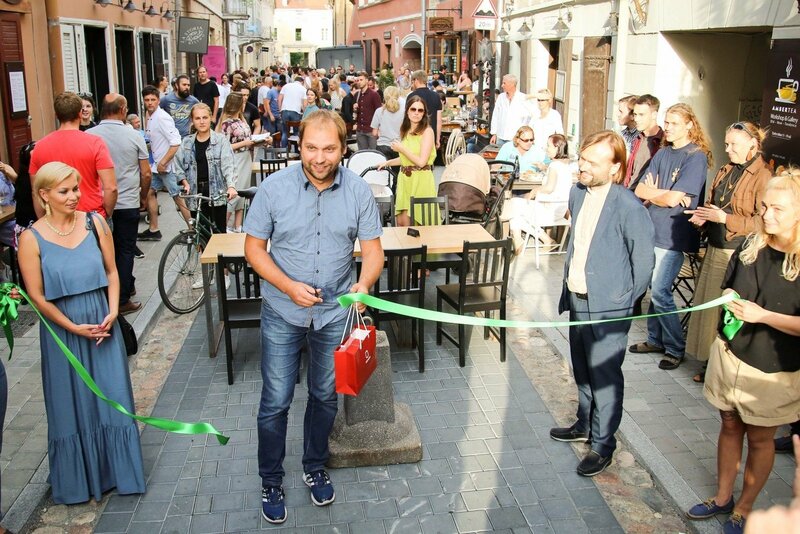 The head of the initiative Art'erija Vilniuje (Art'ery Vilnius) Karolis Žukauskas explained that he came up with the idea when the street's reconstruction began. "I thought that Vilnius, as a centre of gravity for tourism, should certainly be aided by this. I thought that it should be an artery which would enliven the Town Hall Square and would link Užupis with the town centre," he explained. 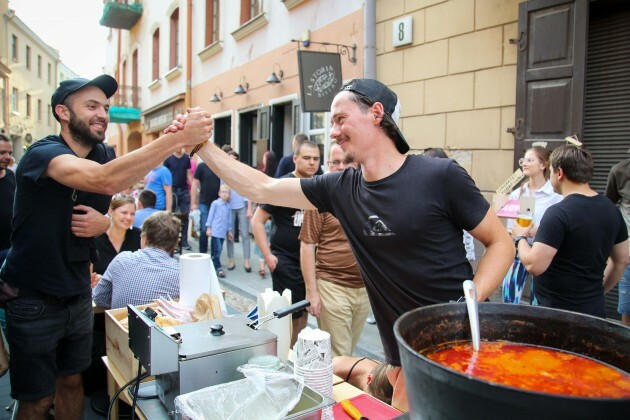 According to Žukauskas, the goal of the initiative is to not only close of Savičius street to cars, various events are to continue being organised in it. That said, the initiative's curator admits, not everyone is happy with it, the residents of the street are divided – some are in favour of the closer, others are against. Nevertheless, this event was not just intended to celebrate the handover of Savičius street to pedestrians. During it participants were invited to support the Lithuanians who will take their works of art to the US Burning Man festival. The festival is held annually in the desert. During it a new town is especially constructed with its own roads and even buildings, the organisers explain. During the festival various sculptures are put on display while at the end of the festival the town is burnt down, the Savičius street event organisers explain. Delfi reminds that proposals to ban vehicle traffic on Savičius street first appeared in the public sphere in June during the street's reconstruction. At the time Thomas Teiten the owner of the restaurant Balzac, which is located on the street, explained that visitor traffic was halved, thus he decided to make use of the reconstruction in a creative manner. 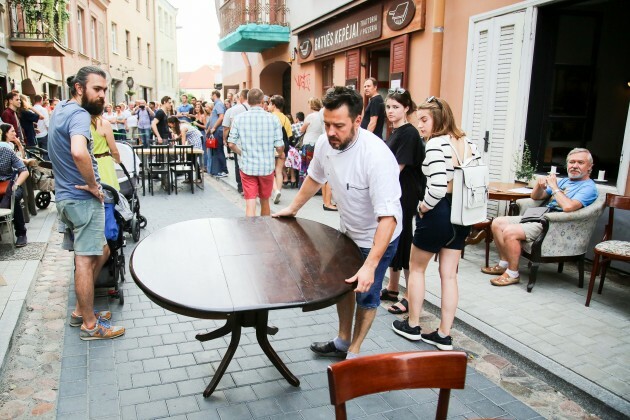 According to him, there was an idea to take a single table out into the street which had turned into a construction site, as the owner puts it – for the bravest. However the image of a table out in a construction yard uploaded onto social media immediately gained popularity. The idea appeared to place more tables. "We saw that people are interested, taking photos, taking it as a joke. 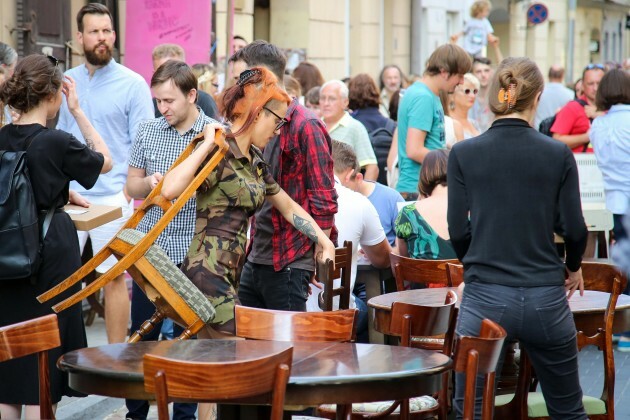 Then, one day, all the restaurants on the street decided to take more tables outside and organise a concert. That first Friday was grandiose, at one point we may have had some three thousand people there. Now we try to organise concerts every weekend without inconveniencing clients," T. Teiten explained.